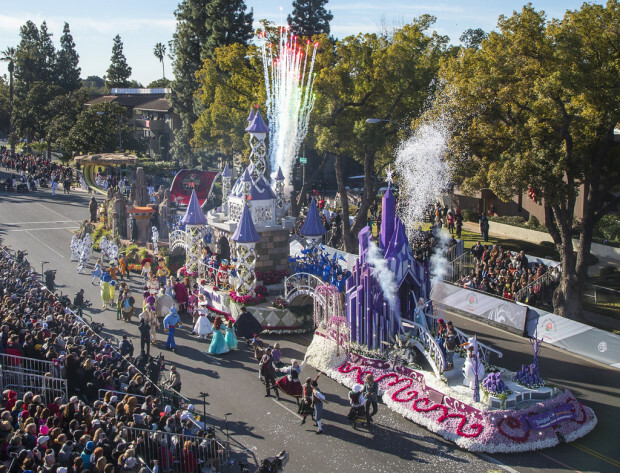 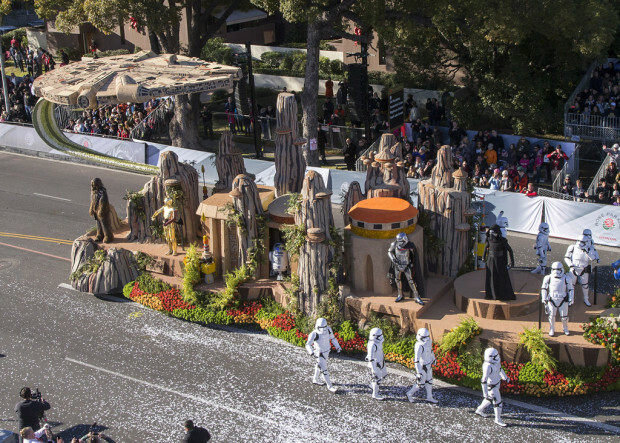 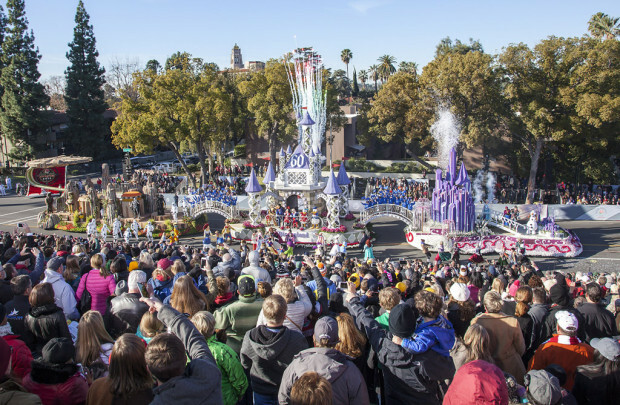 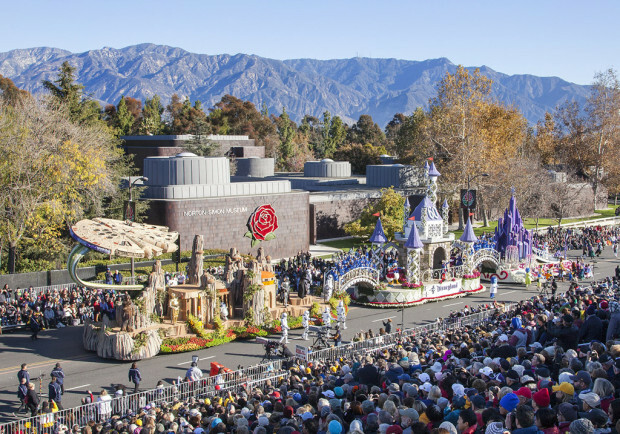 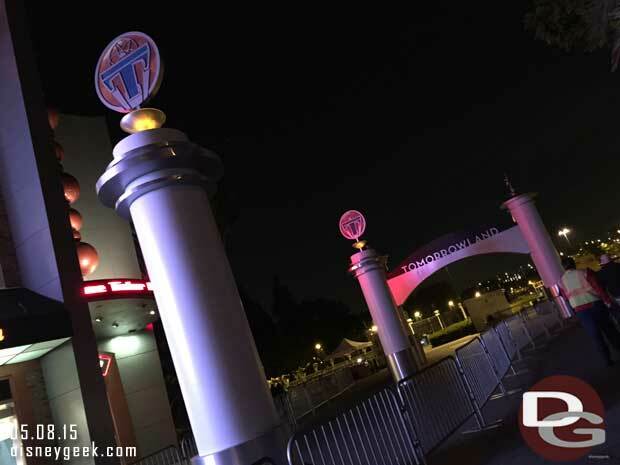 (January 1, 2016) The Disneyland Resort entry in the 2016 Rose Parade in Pasadena, Calif., brings to life the dazzling Disneyland Resort Diamond Celebration before a worldwide television audience on Friday. 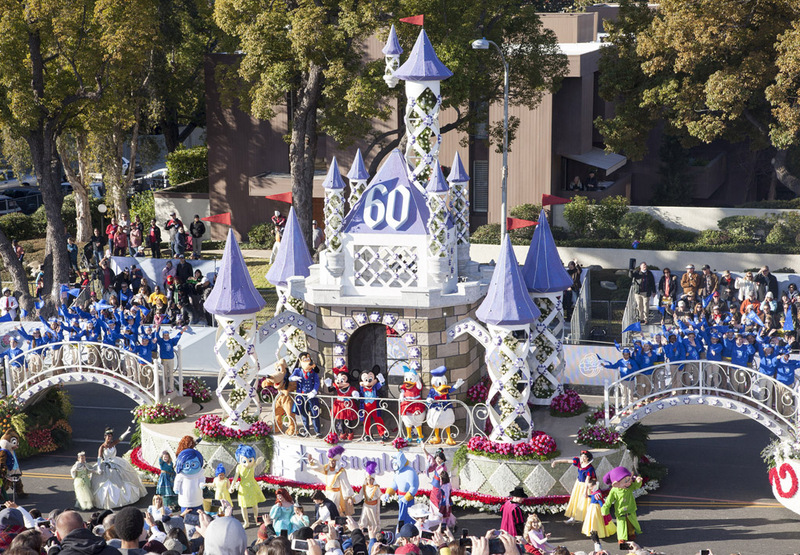 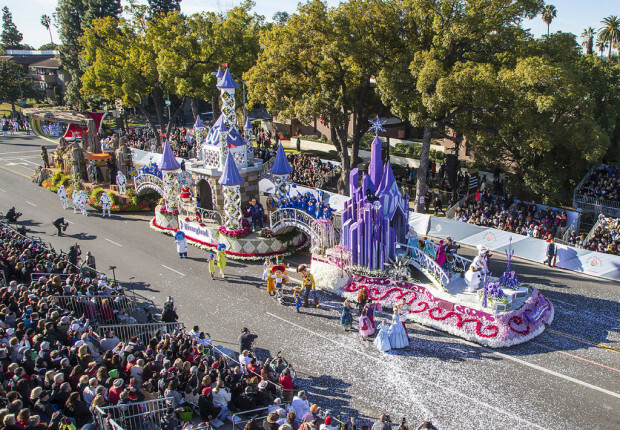 The Disneyland float, dubbed “Disneyland Diamond Celebration – Awaken Your Adventure,” showcases the diamond-studded icon Sleeping Beauty Castle. 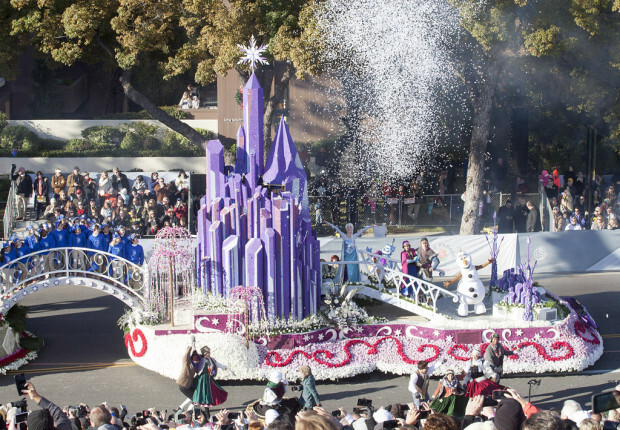 Flanking the castle are two adventures brought to life at the Disneyland Resort: the world of “Frozen” is represented by Elsa’s ice castle; and we travel to a galaxy far, far away for exciting new Star Wars experiences at Disneyland park.